-*Beat the cream fraiche in a bowl and add some milk to it so that it gets nice smooth and creamy but not runny!!!! 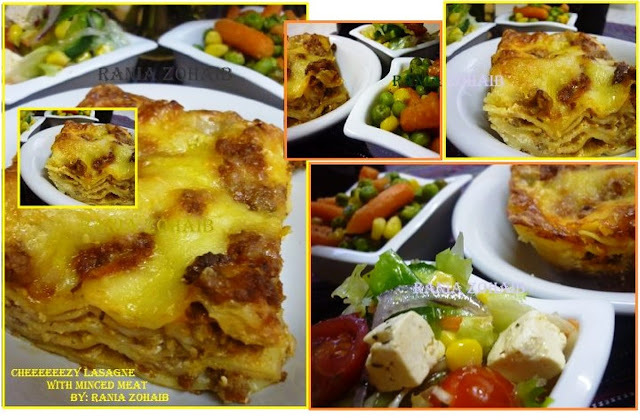 -* sprinkle some minced meat and a good amount of grated cheese on the last top and bake in a preheated oven for around 30 mints, keep checking if the top cheese gets golden then cover it with an Alu foil so that it does not turn darker and let the rest bake. Poke a bread knife to check f the sheets are thru, means they are done.